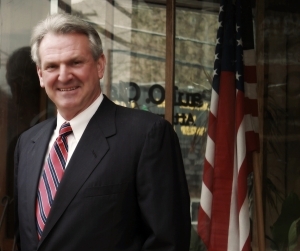 Attorney Paul O. Clay, Jr. has been serving southern West Virginia since 1976. Paul O. Clay Jr. was born in 1951 in Charleston, West Virginia. Mr. Clay graduated from West Virginia University in 1973 with a B.A. in Political Science and minors in both History and English with honors, and was a member of Pi Sigma Alpha Political Science Honorary Society. Additionally, he served in the Student Legislature and was a member of Phi Kappa Psi social fraternity. Mr. Clay attended Washington and Lee University School of Law, graduating in 1976 with his Juris Doctor degree. During law school he was a member of the Legal Research Association, worked with the Western State Legal Aid Association, and served as a legal research assistant for the Virginia Polytech Institute Water Research Project, and was a summer intern in the West Virginia State Tax Department Legal Division. He also met and married his wife Linda during this time. Since graduation from law school and subsequent admittance to the State Bar of West Virginia in 1976, Mr. Clay has worked in two firms and then as a sole practitioner for twenty years, working first in insurance defense, then as a plaintiff’s personal injury attorney. His varied practice also includes real property and business litigation, bankruptcy, residential and business real estate transactions, business transfers. Mr. Clay has also handled major coal transactions (including leases, coal sales agreements, and business transfers), and other business transfers and issues. Mr. Clay is admitted to practice in the West Virginia Supreme Court and the Circuit Courts of the State of West Virginia; United States District Court for the Southern District of West Virginia; United States District Court for the Northern District of West Virginia; and, before the Fourth Circuit Court of Appeals. He has served on the District Character Committee of the State Bar, and Chairman of the Fayette County Public Defender Association. Additionally, Paul is proud husband to Linda Clay, a retired Fayette County teacher. 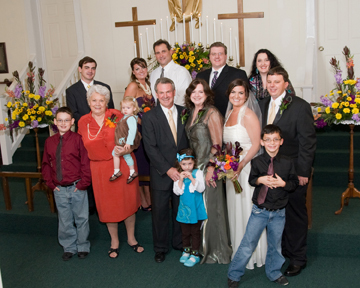 He is the father of four successful adult children, Christopher, Nathan, Katherine, and Rachael, and has five grandchildren. He is actively involved in his local church, Doggett Chapel, where he has served as Lay Leader and is church pianist and organist.